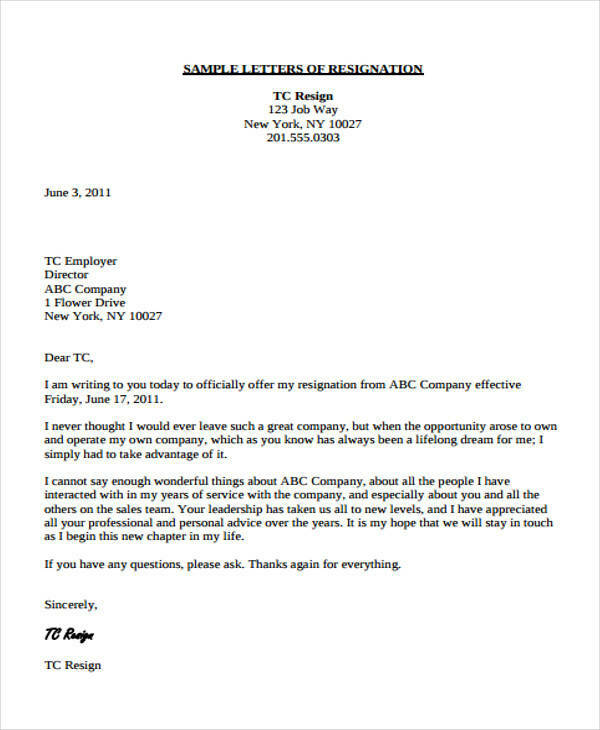 Making a letter of resignation that would center in thanking your employer or the company when you are about to leave your current job position may not be ideal for some, but for others it may be worth a shot. Even if for some, it might be an outrageous stunt, but it would definitely work if done right. 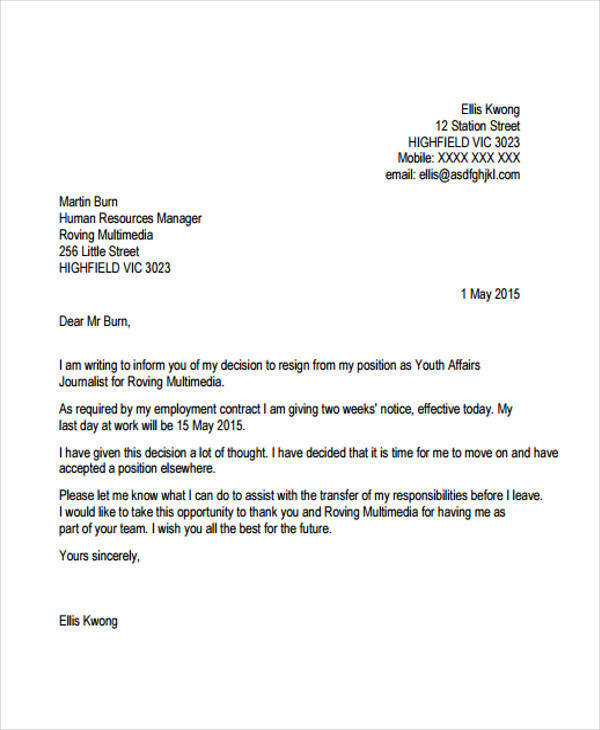 Writing a letter of resignation that would emphasize on the “thank you” part more has probably more to offer than just simply going through the regular way of drafting and writing your thank-you resignation letter. Perhaps these Letter Examples might be a great help with regards to the subject matter. 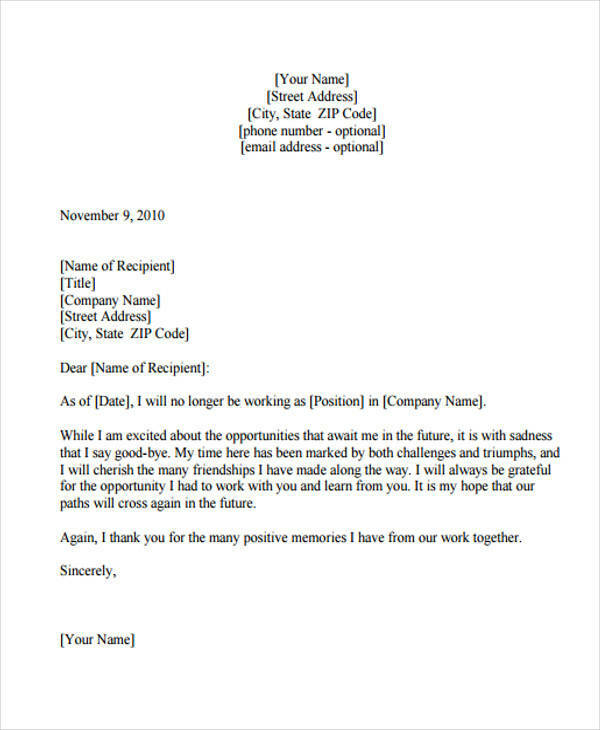 Also, consider having a look at these examples of Thank-You Letters for Interview as well as examples of these Formal Thank-You Letters that can be helpful with providing you with ideas, which in return can make you discover a lot of various perspective with regard to the subject matter. 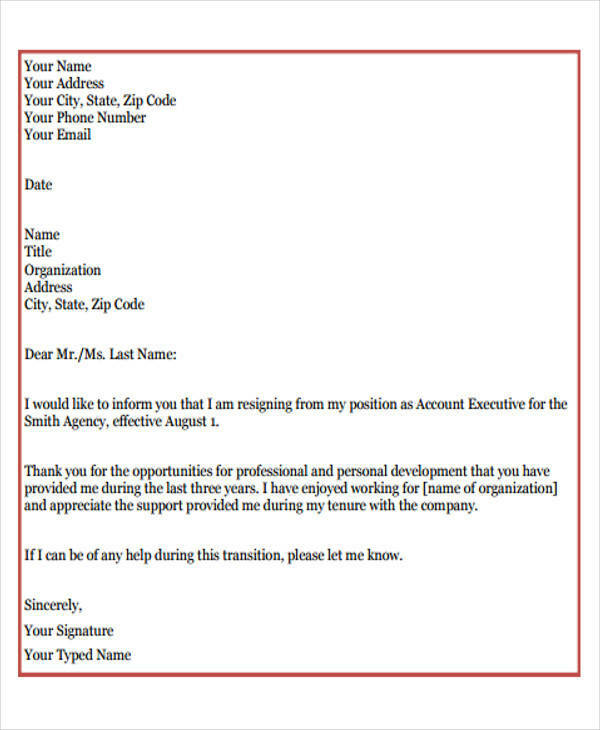 If this would be the first time for you to draft and create your own thank-you resignation letter, then you have landed on the right webpage! Below are some quick tips and guidelines that are pretty easy to follow as well as simple to use. Mind the format that you will be using for the thank-you resignation letter – you can always opt for using the standard business format that shows formality and professionalism when it comes to its letter-writing style and formatting. State your reasons briefly and concisely – clearly indicate and state the reason why you have decided to leave or quit your career position in the company. 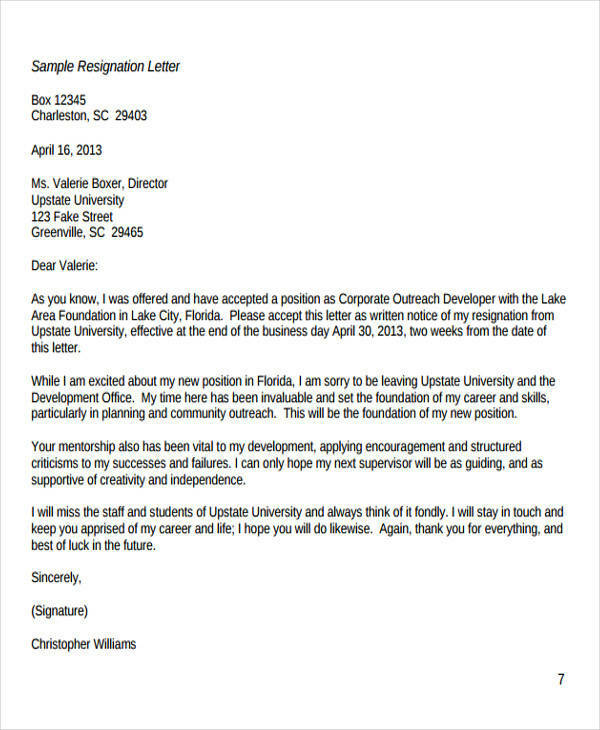 After that, this is where you express your sincerest thanks and gratitude – this part of the thank-you resignation letter is where you center and give focus to your letter since the type of resignation letter that you have opted to write is a thank-you resignation letter. Once in a while, you can mention the good times. Keep things positive – this part is where you mention or reminisce the good memories that you have experienced while you were still working with your colleagues. You can also mention the useful skills that you have learned as well as the life lessons. Do not hesitate to provide them your contact information to keep in touch – you and your colleagues or your seniors may be taking different paths now but you do not have to necessarily burn the bridges. Always remember that keeping, maintaining, and growing your personal as well as your career network is essential to be able to keep up on the corporate world professionally. Always spell-check and use proper grammar – this step is probably trivial and daunting to most people but it is only of the essence as well as it is imperative to mind the grammar as well as the spelling of every word that has been written on your thank-you resignation letter. 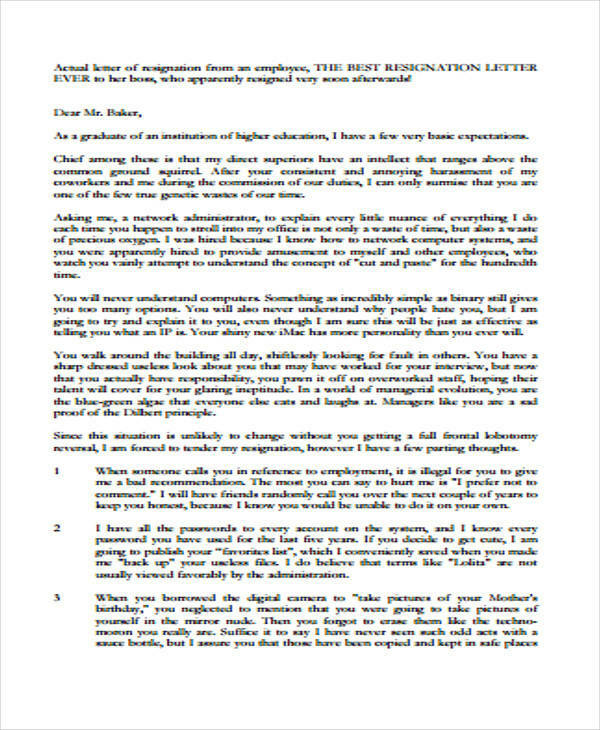 If the information above was helpful for you, do check out these Thank-You Letters for Donation as well as these Thank-You Letters for Appreciation that you might find useful.